As we move ever closer to the day we leave our rented flat to begin our exciting adventure in our first home, I'm very aware that we need a good sort out. One of the biggest problems we face is the excessive amount of clothes that I own. Crushed into small wardrobes (with very little room for Simon's clothes!) my ridiculous collection of jeans, jackets, dresses and shoes has, perhaps, got a little out of control in recent years. 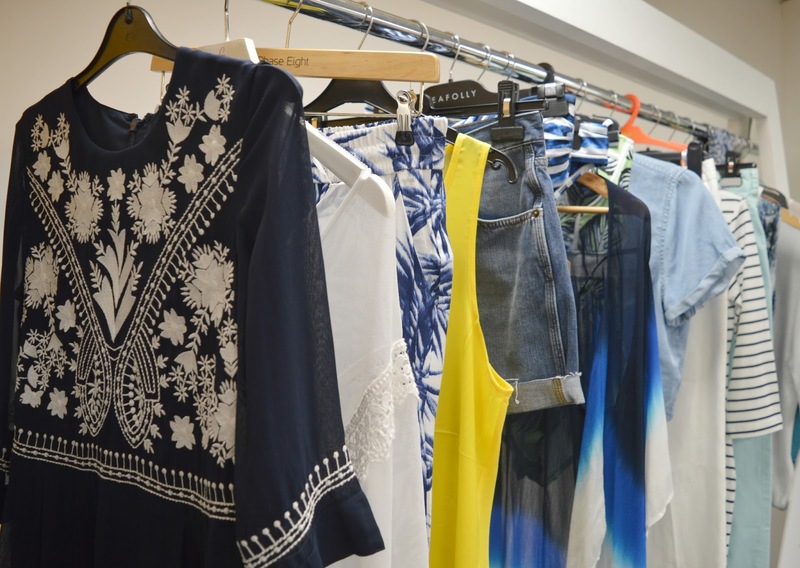 So when North East blogger Rachel decided to organise a swish event at the Intu Metrocentre, I saw it as a perfect time to start sorting through my outfits. At times I can be a very impulsive buyer. I have bought a dress because I love the colour even though it doesn't suit me, heels that are so pretty but impossible for me to walk in and a "must have" bag just because every blogger on the internet has it. So a lot of my collection is made up of things I regret purchasing but have managed to survive every wardrobe cull just because they are too pretty to part with. I've never been able to bring myself to get rid of the impractical beauties in my wardrobe, but swishing with bloggers gave me a chance to finally get rid of these pieces. The thought of a treasure that I can't wear appearing on someone elses blog as an "Outfit of the Day" was enough to convince me to finally let go. For the Summer Swish we each took along at least five items which we could exchange for the same number of items from others. We were given tickets for each item that we passed over which we then hung on anything we liked the look of on the rails of clothes. I managed to take a rather staggering 11 items along with me, but was pretty sure Simon probably wouldn't want me to return to the flat with 11 new items so I was very restrained even though the other bloggers had bought some great things to add to the rails. 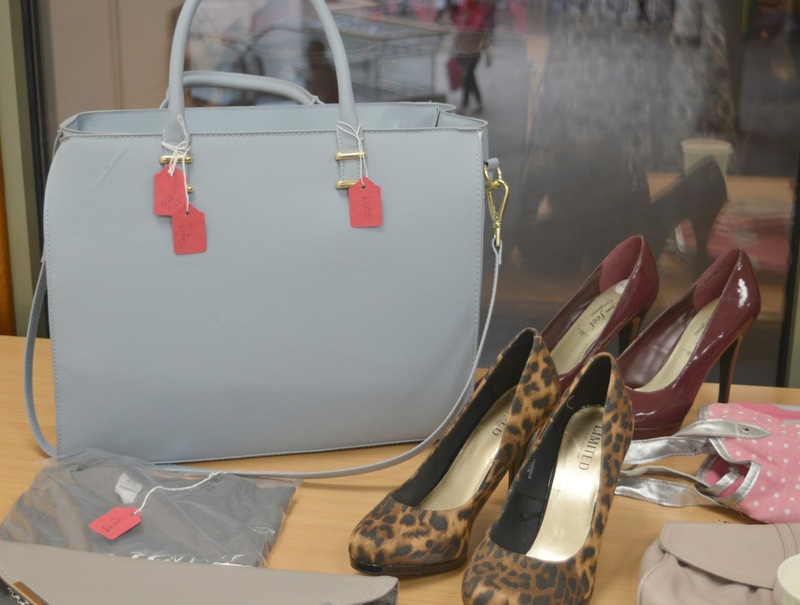 The biggest joy for me was seeing little red tags hanging off the clothes that I had brought with me, some of my goodies even had more than one tag on meaning that they went into a draw. My beautiful pastel blue H&M bag became the hit of the afternoon and I was really happy to see it going to a happy and deserving new home. 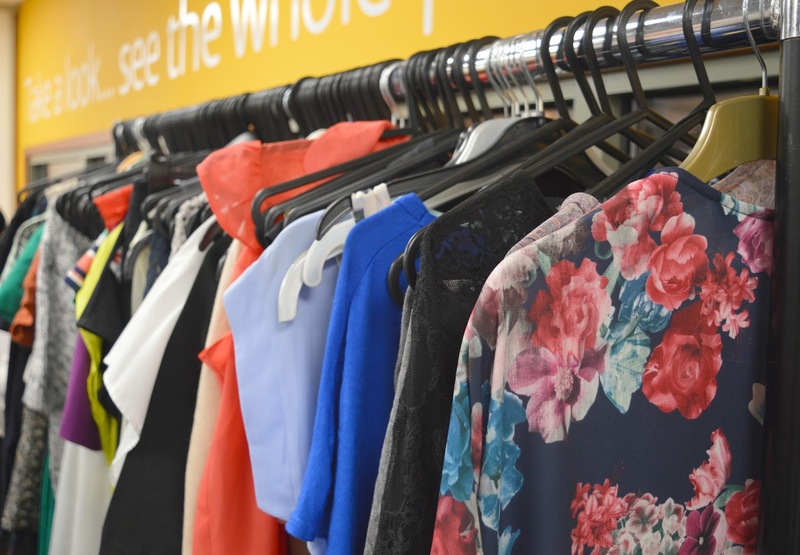 As our Swish was Summer themed, the Metrocentre's Style Queen, Michaela joined us, bringing with her a rail of rather beautiful Summer clothes from around the centre. Michaela gave us some really helpful tips on packing for a Summer holiday and how you can build an entire weeks wardrobe out of just 16 items. 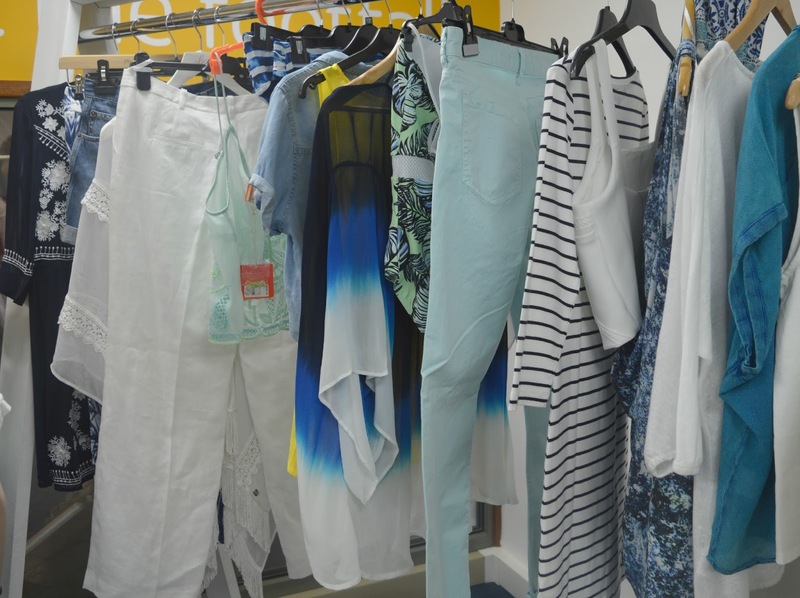 Michaela gave us advice on savvy packing using a Summer appropriate colour theme to create a capsule wardrobe for your holiday that you can mix and match for every occasion. Her idea of wearing a swim suit with some wide legged white linen trousers for an evening outfit was inspired. We were also joined by the Body Shop who were treating us to makeovers and showing us some of their new products including the rather delicious smelling Virgin Mojito range. During the event we were raising money for the Sunshine Fund, a local charity supporting disabled children, and I managed to win myself star prize at the Raffle meaning that later this year I will be off to the Metro Radio Arena in Newcastle to watch a show of my choice. What a prize! The perfect afternoon ended with a spontaneous trip for sushi with Ashlie and Katie where we had a fantastic time gossiping and stuffing our faces with delicious food. One thing I love about blogging is the wonderful people you get to meet and I loved spending a bit of extra time with two of my favourite blogging ladies. The afternoon also resulted in the lovely Ashlie sending me a surprise copy of Hello Magazine in the post after I mentioned to her that I hadn't been able to find the Mark Wright and Michelle Keegan issue anywhere ... that there is a blogging friend for life! There are still some items in my wardrobe that I can't bear to get rid of, they've been there forever and I never wear them! I wanted to come to this but my blog isn't fashion focused so I thought I'd let the stylish ones enjoy it haha, looks like a fun day though! What a lovely written post Chloe. It was a great afternoon. I loved our spontaneously trip for Sushi.